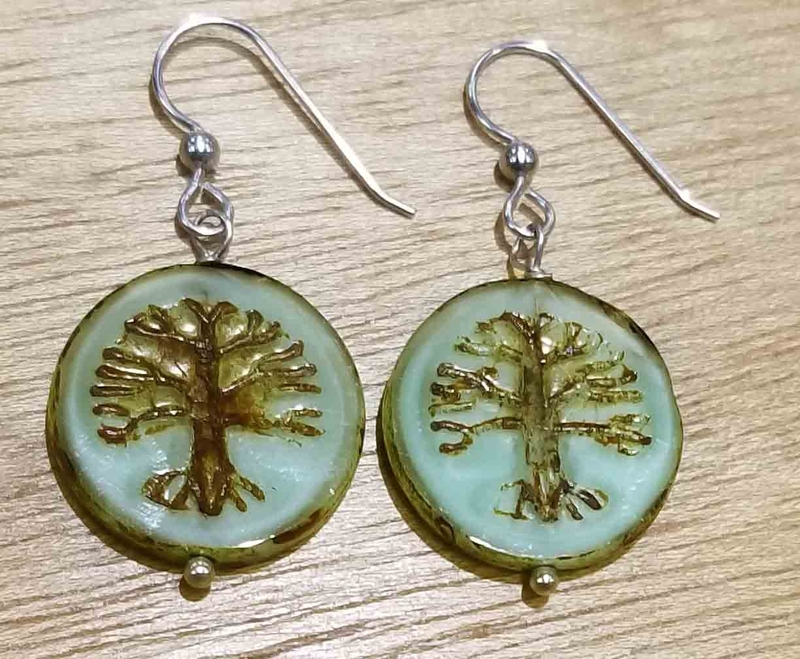 These sterling silver and Czech glass tree earrings are super cute! 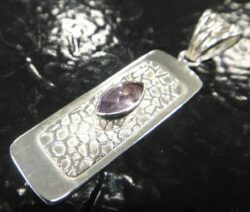 These earrings feature a hook ear-wire that slips easily into the ear. 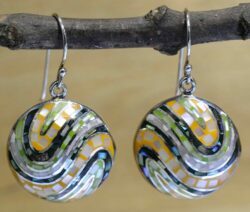 These earrings feature Czech glass tree beads, and then are handmade into earrings in our Iowa City store! 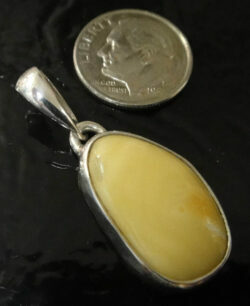 The tree bead is light green with brown highlights. 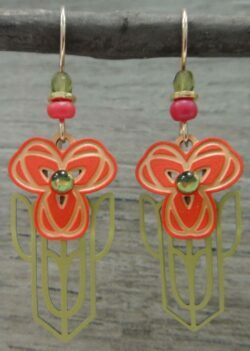 These earrings measure approximately 1.25” long (including the ear-wire) by .45” wide. 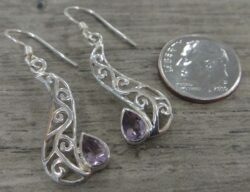 Please note that the dime is not included with these earrings but shown to help you gauge the size of these earrings. These tree earrings would make a great gift for anyone who loves trees, nature, or handcrafted artisan jewelry.